Welcome to Zehtindjieva House tavern- restaurant! As entering the tavern you will come in a world full of the traditional Bansko spirit and authentic wood-stone interior. 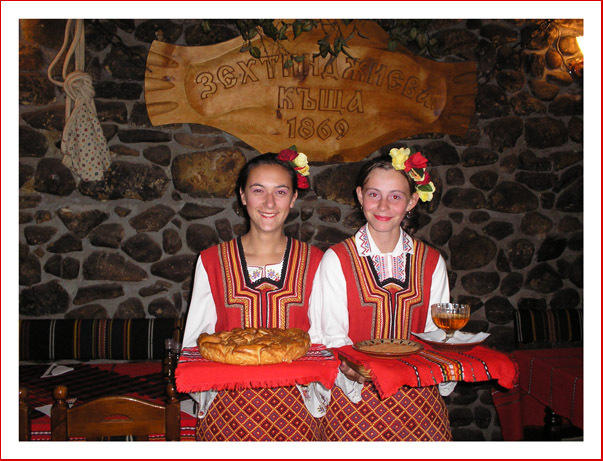 Attractively decorated, the tavern unveils the unique taste of the Pirin area. Cool in the hot-hot summer and warmly heated by the fireplace in the winter, this is a place where one can feel relaxed and comfortable, while enjoying great moments with friends, family and colleagues. The relaxing atmosphere, delicious food and impeccable service are the keys to this exceptional experience. If for some reasons you feel dissatisfied with your stay please shared it with us! If you feel happy with our service please shared with friends! Either way we would like to hear from you. Print this coupon to receive 5% discount next time you visit “Zehtendjiva House” Tavern – Bansko.